Regarding Living Wisdom’s stance on the matter of TVNZ’s ‘Sunday’ programme slandering and misrepresenting us; (‘Sunday’ “Pray away the Gay” Sunday June 17, 2018) we affirm the following: reason, observation, 30 years of therapeutic experience and common sense, taken together, inform us that sexual orientation is far more affected by nurture from formative years, than merely by one’s given nature, and that sexual disorientation is always a result of such factors as maladjustment to family stress, broken role-models, gender disorientation, peer pressure, mis-nurture, disaffection, defensive detachment, critical period mis-attachment, misguided validation etc. This is (privately) testified to by all recipients of successful therapy. 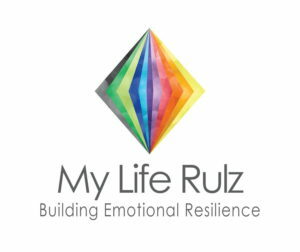 These factors are exactly the same types of phenomenon to be found in any of the emotional damage or bruising which puts hurting and ambivalent people under emotional/mental or social duress, leading them to seek genuine help and relief from their struggle. I stress the word ‘help’; this does not include any practice of mystic magic, toxic religion or fear driven, guilt driven or self-discipline driven manipulation – the kinds of distinctions that ‘Sunday’ completely, irresponsibly and utterly reprehensibly failed to make. The result is panic, hysteria, confusion, hurt, persecution and extreme thinking by liberal and conservative alike. I have witnessed all these due to the crippling, stereotypical narrative of the ‘Sunday’ programme. And before you ask; no, not all adopt heterosexuality in the wake of healthy therapy; nothing can eclipse personal sovereignty can it? 100% success has never been proof of efficacy in any scientific or medical research in psychology that I know of. And that is also why offering therapy to people in orientation pain doesn’t need to be legislated against. Our business is with those who seek to know the ‘why’, the ‘wherefore’ and the ‘what now’ of their emotional lives, and this can include their sexuality. In this matter we adopt the philosophy of Alcoholics Anonymous – “If you want to drink, that’s your business. If you want to stop; that’s ours.” We will never refuse to fulfil our compassionate obligations to a genuine seeker wanting to explore these painful issues with us. We won’t be intimidated by the incensed threats of the leftist ideologues who display little ability in conducting a reasoned discussion, or demonstrate any compassion whatsoever for the abused, attachment-injured child as that child stumbles through the fraught journey of emotional formation, back to a newly repaired or re-awoken heterosexuality.